Our CEO and Founder Glenn Elliott spoke to Wistia last month about the importance of video, including how to introduce it to your own company, integrating it across sales and marketing and what he's really thinking as he's filming his own videos for the 350+ employees at Reward Gateway. We use video a lot here, and as proud clients of Wistia, Glenn was excited to share his advice. "As more and more companies adopt video as a versatile communication tool, Reward Gateway, an employee engagement platform, continues to push the boundaries and stand out with video. Thanks to their fearless CEO, Glenn Elliott, video has become a norm around the office. Known for his out-of-the-box entrepreneurial strategies, Glenn believes there's no such thing as "business to business"—it's all about human to human. 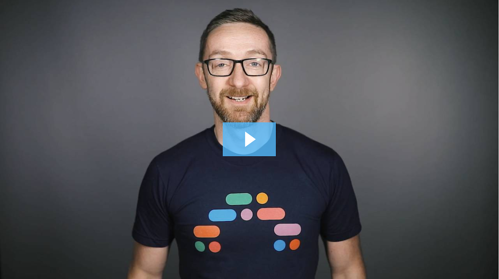 From their internal communication efforts to their sales team's outreach strategy, Reward Gateway is using video to create meaningful human connections..."
Plus, if you're in the Boston area, join Glenn for his presentation at WistiaFest this June. (Here's where you can buy your tickets.) We hope to see you there!